How do I download music from Spotify Premium to the music app on android, like Poweramp, Shuttle+? There are many streaming services in the market to choose from. But when it comes to subscribers or paying customers, Spotify is the undisputed king, as it hit 83 million paid subscribers and 180 million total users by the end of July 2018. With Spotify you can build your favorite playlists from a collection of 35 million songs, select artist radios to hear what you love, or explore the latest music with Discover Weekly. However, most of music streaming services adopt DRM technology to protect their music form being copied and enjoyed without authorization, Spotify is no exception. Each song from Spotify is DRM-protected, so neither the Spotify Free users nor Premium subcribers are allowed to take these DRM-ed Spotify songs outside of Spotify client. That is to say, it seems impossible to transfer and play Spotify playlist on Android music player. Luckily, things changed thanks to the coming out of some professional Spotify music converter software. 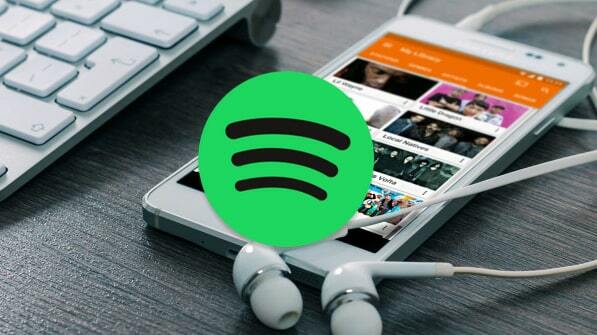 With the help of such tools, we can easily remove DRM from Spotify songs and convert them to MP3 or other widely used formats, so that we can transfer and enjoy Spotify music on Android music players. 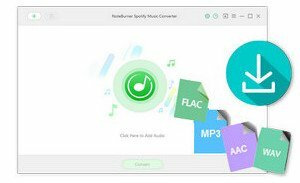 Here we will show you the concrete steps of transferring music from Spotify to Android music player by using the top rated app -- NoteBurner Spotify Music Converter. 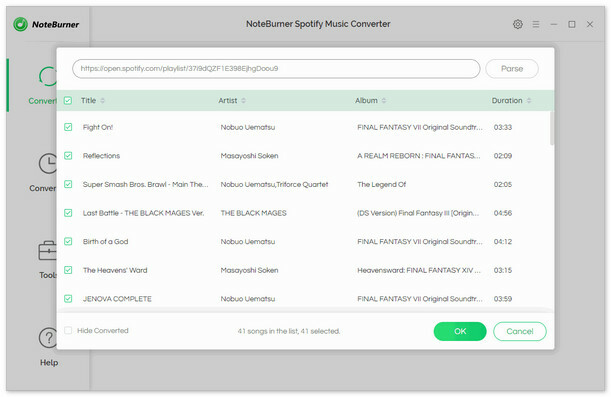 NoteBurner Spotify Music Converter is the best Spotify Music Downloader and Converter to remove DRM from Spotify tracks. 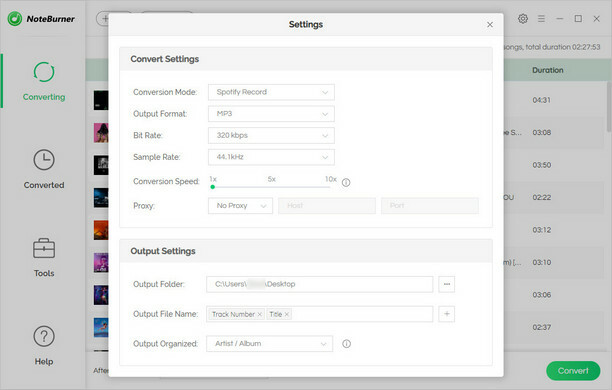 With its help, you can perfectly strip DRM from Spotify songs and convert its DRM-ed music to plain MP3, AAC, FLAC or WAV format at up to 5X speed. 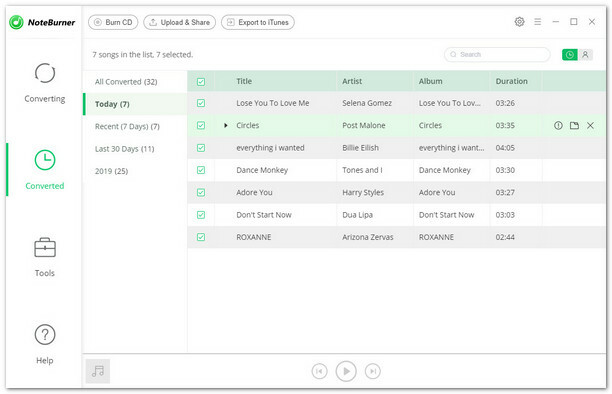 Besides, NoteBurner Spotify Music Converter is also well-known for its lossless converting quality. It is capable of downloading or recording Spotify music without damaging the original streaming audio quality. Support the Win 10 Store version of Spotify. 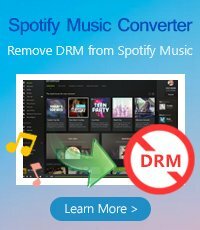 The following is a detailed tutorial about how to remove DRM from Spotify music and transfer to Android device. Please download this useful tool on your computer first before getting started. When finish customization, click "Convert" button to start downloading. After conversion, you can find the converted audio files by clicking history button. Simply connect your Android phone to your computer with a USB cable and then send or copy & paste the converted Spotify songs to your Android phone. Now you’ve got DRM-free Spotify music on Android device, you can listen to them on your Android music players without restriction.